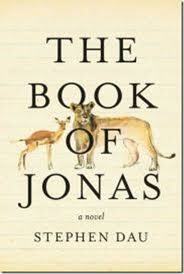 Up first is The Book of Jonas, by Stephen Dau. I have two copies, since in their infinite respective wisdoms, Powells Indiespensable and the Book Passage first editions book clubs each sent me the same book the same month. So I have an extra. Second is Michael David Lukas' book, The Oracle of Stamboul , again a duplicate copy. Both books are free, and they're new -- never read. You can take one or both, I do not care. Just be the first to leave a comment saying which book you want (or if you want both) and they're yours. 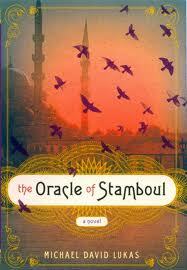 The Oracle of Stamboul is on my TBR, so if it hasn't been claimed yet, I would love to have it! Thanks! I'll get that out to you next week. I think I still have your address! Thanks, Nancy! If you need the address, just send me an email at colreads at gmail dot com. Hope all is well with you!